Easter Monday 31 March 1880 was an outstanding day in the history of Mohill, when four Sisters from the Convent of Mercy, Longford, drove through the quiet town, to take possession of a small building on the hill. These sisters were: Sr. Aloysius Martin, Sr. Agnes Ryan, Sr. M dePazzi McDermott and Sr. Stanislaus Tunney. They had come at the invitation of Right Rev. Dean Eivers, P.P. 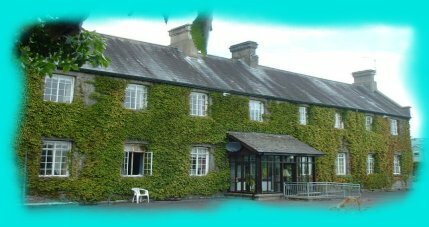 Mohill, who through lack of funds could offer but scant accommodation to the Sisters. He had renovated and raised a second storey on the existing one storey school. (The North West wing of the existing convent). The upper portion was to be the sisters living quarters for the next ten years, while the school work continued downstairs. In November 1890 this less than adequate school, was replaced by the much needed new two storey building on the opposite side of the road. (The present Primary School) The school was officially blessed by Rev. Dr. Woodlock. It was thus that St. Joseph's Primary school began. In 1936 a new addition was made. Owing to the decline in rural population in the 70's, the rural schools of the parish were closed but their pupils and teachers continued their work in the town schools. In 1976 a special school was added to the existing primary school. All of this led to a need for further extension of the Primary School. The difficulty was quickly overcome, however, when the sisters offered a good existing building, which was converted into a three roomed infant school. (St. Oliver's). The year 1979 saw this building much improved by the addition of a general purpose room and other amenities. In 1997/98 a further extension was made. This consisted of three modern classrooms, a Basket ball court, and a playing field. All of these together with the beautiful Arboretum planted on the occasion of the Schools Centenary celebration in1990 leaves our students with a very beautiful school and surroundings today. Thanks to the foresight and dedication of Sr. Celine who accomplished all of these during her principalship. The successive principals were: Sr. M dePazzi, Sr. Aloysius Martin, Sr. Berchmans Bermingham, Sr. Michael Condon, Sr. Stanislaus, and Sr. Celine. Mrs Brid McMahon carries the torch into this new century. In early days the sisters were assisted in their work by many lay teachers(monitresses). These included Misses Maura Sheeley, Rose Gilligan, Brid Gavigan, Evelyn Hawkes, Ettie Griffin(mother of Sr. Rose Macken), Rose O'Brien, Josie Flynn and Sarah Gilmore who later became Sr. Stanislaus. These assistant teachers had lodgings with the sisters in the limited accommodation they had over the existing school in those very early days. The Sisters integrated into the local community and did much to alleviate the distress and poverty which were widespread at the time. Through house visitation they brought spiritual and material help to many. In addition to the work of teaching, the sisters - in 1882 - acceded to the request of the medical authorities to take charge of the Workhouse and school attached to B k R . (L R) it. At that time there were 300 patients in the workhouse. Sr. Clare Banahan was sent from Longford to do this work. Sr. Patrick O'Sullivan later took charge of the school there. She was assisted by Sisters Aloysius Martin and Berchmans Bermingham. This good work they continued until its closure in 1922. In 1923 through the generosity of John Farrell, Esq., a new chapel was erected and the following year the convent as it exists today was completed. At this time also, there was a donation of land from the Burbage family, this was just another example of a kindly gesture experienced by the sisters from a parishioner. By the middle of the twentieth century the need for Second Level Education was being felt all over Ireland. The Sisters answered the call of the young people of Mohill. Sr. Clare Fox, from her sick bed, had a vision for Secondary Education in Mohill and in 1949 she started a 'Secondary Top'. Thirteen students enrolled that year. 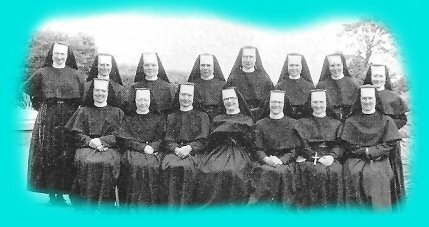 The Secondary Top evolved and developed, the number of pupils on roll increased but funds were low, so the Sisters found it necessary to give over a complete wing of their convent to provide the needed accommodation. Later they realised that nothing less than a complete new school would meet the needs of the student population, Marian College became a reality in 1969. It was officially opened by Minister Brian Lenihan and blessed By Most Rev. Dr. Cahal Daly. Successive principals were: Srs. Clare Fox, Goretti, Oliver, Ciaran, Emmanuel and Mr Matt Gaffey. Today Sr. Helen Keegan continues their good work. Srs. Martha Bolger, Sr. Angela Clarkson, Sr. M. Celine Keegan, Sr. Oliver Kelly, Sr. Odran McKeon, Sr. Goretti McDermott, Sr. Aquin Dunning, Sr. Aloysius Nerney. Sr. Clare Fox, Sr. Stanislaus Gilmore, Sr. Therese Treacy, Sr. Brigid Manning, Sr. Attracta Manning, Sr. Maura Conlon, Sr. Ignatius Dalton. Bishop Cathal Daly speaking at the Centenary celebration of St; Anne's Convent of Mercy Mohill 15th April 1980 had the following to; say, 'Rarely is a religious community so closely involved in the life the town and parish where they are situated, as is the community of the Sisters of Mercy of Mohill. Rightly are the members of this religious community held in high esteem and affection of the people of the town and parish. Mohill, past and present, owes much to the Sisters of Mercy of this community. Its people are proud of them, loyal to them, generous in support of all that they are trying to do for the building of God's kingdom'. Never did these words ring more true than in the last few months of last year, when we Sisters of Mercy were faced with the painful but hope - filled decision of closing St. Anne's Convent and having to part with life-long companions on our Faith journey. Yes, a convent and a people held in much affection, closed on the 26th November 1999, but it was only a building that was closed. We know that these words could be written in reverse, for we too hold the people of Mohill in high esteem and affection, and want to offer them at all times only the very best. It is an extraordinary providence that our new home, beautifully built for us by one of Mohill's very own and past pupil of our school Vincent Moran, is located, commanding a view of our schools, the places where the sisters have laboured faithfully for the past 120 years. As we take baby steps into this new millennium we have experienced one of the greatest events of Mohill's Cultural History -The Millennium Concert, a magical moment never to be forgotten, an event brought about by a Sister of Mercy - Sr. Nora Keenan, who was ably assisted by talented and generous choir members. Soon, we are about to see the present Marian College building, replaced by a new school building suitable for the development, not just of mind and body but soul and spirit of the students in its educational environment. To quote the architect, "We must create a built environment that allows for the development of the body, mind and spirit together. The process we engaged in, looked at cultivating and enhancing the student." And it too falls to the lot of a Sister of Mercy to carry this project to its completion. We thank Sr. Helen Keegan for her generosity in making herself available for this momentous project. True to the Mohill spirit, we know that Sr. Helen will not be alone, but will also be ably assisted in bringing about this worthwhile task by the fine group of colleagues with whom she works.